31-year-old Jessica Boehrs is a successful singer and television actress in her native Germany. She has two film credits including EuroTrip, in which she plays Scott’s German pen pal Mieke. How did you get the part of Mieke? It was my first American production. They wanted a genuine German girl so they set up the auditions in Berlin and Munich. I got the part after one callback and still can’t put in words how excited I was! Since we filmed in Prague for a total of 51 days we all got to know each other pretty well and had so much fun both on and off set. Beer was cheap and Prague is such a cool city to hang out in. I’m still friends with the director Jeff Schaffer and the producer Jackie Marcus and just met them recently in New York. Such grounded, honest, creative people with smart senses of humour! A lot of critics accused the film of being xenophobic. Were you ever uncomfortable with the depiction of Germany in the movie? Really? I’ve never heard anything like that. The film makes fun of every nation it depicts, including America – for example when Cooper says that you can walk from London to Paris. 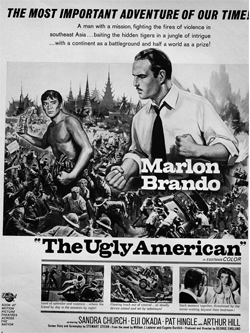 Originally they wanted to name the film Ugly Americans but there was a copyright on that title because of some movie from the 60s or 70s. Every country in the world has their typical manners, customs and flaws – this movie is like a caricature when it comes to depicting them. Even then, they actually cut out some scenes that were a little too far over the top. Myself, I never felt uncomfortable with any of it. I love it when people don’t take stuff like that too personally and instead understand irony and smart sarcasm. Did the crew have trouble getting Prague to double for six different European cities? I guess that’s a question for the post production department. Of course, sometimes it’s difficult to stand in front of a green screen and pretend to be swimming in tomato sauce (no kidding, been there done that) but I think if you have a fabulous director who you can trust and who explains all the details, then it shouldn’t be a problem to make it look authentic. Have you kept in contact with any of the other cast members? I’m Facebook friends with Michelle, Scott and Travis. I’ve only seen the movie twice. The first time was at the premiere in Los Angeles (biiig thing for me!) and the second was just a week ago at a screening in Berlin for 30 students from Minnesota.